Here's another beauty from our commercial portfolio. This job was completed in October 2015. 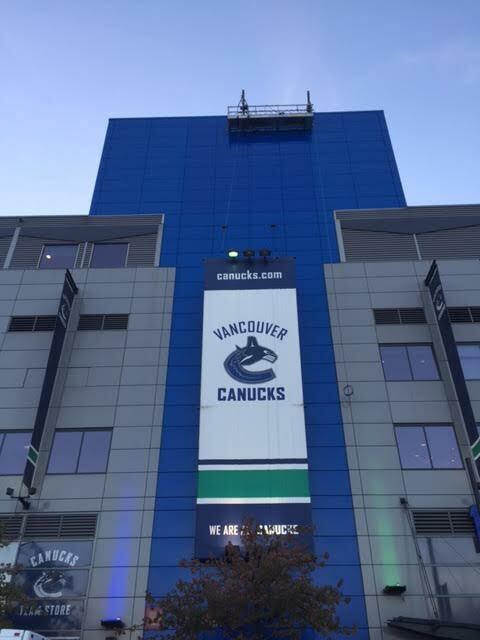 Even though Vanguard has been continuously working inside the Rogers Arena, being able to work on the exterior again brings back a lot of good memories. After the big red Rogers Arena sign was removed, there were 180 metal panels to be cleaned and sprayed. Our painters worked from a swing stage and did an excellent job.